BEND, OR -- Consumer groups are warning used car shoppers to be aware of scam artists trying to unload cars damaged in floods that ravaged the south earlier this summer. Sophie Dichter, with the Oregon Better Business Bureau, tells KBND it’s not unusual for criminals to take advantage of natural disasters in another part of the country. "Usually when you hear about flooding in Texas, you don’t think it’s going to effect us here in the Northwest, even in Bend. But, that’s exactly what scammers do. They take damaged cars and do 'Title Washing.' They re-title it from different states, like from Texas to Oregon, and it makes the car appear clean." She suggests checking a car’s interior. "Look at the carpet, and you might be thinking, ‘of course I’ll look at the carpet. If it looks stained or wet or smells, I’ll know it’s flood damaged.’ But, actually, we tell people if the carpet looks new but the car is used, it’s a red flag because it could be a sign the scammers reupholstered the car to cover up the damage from the flooding. If you find new carpet in a used car, it could be a sign it’s been reupholstered to cover damage." Also, check wires under the dashboard. Dichter says they’re often missed by someone trying to clean up rust. And, she recommends having a mechanic check over the vehicle before you buy. "This is very common, actually. Every time there’s a natural disaster, we hear these nightmare stories of a car that appeared fine, it looked beautiful, the title appeared clean. 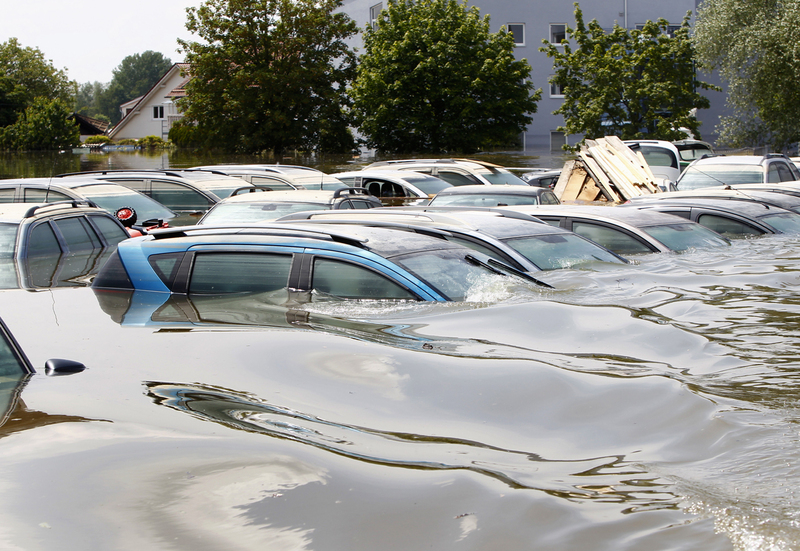 But, eventually, when a car has been in a flood, it’s just a sponge for rust and corrosion. It’s just a slow process where your car is just kind of breaking apart."